Craig joined HSBC in 2014 and is Global Innovation Lead for Global Liquidity and Cash Management. In this capacity, his role is focused on identifying new opportunities for HSBC to leverage technology from the Fintech community and deliver value to HSBC’s corporate clients. His past experience of delivering innovation within Financial Services gives him a great perspective on the challenges that Fintechs face in working with global international banks. 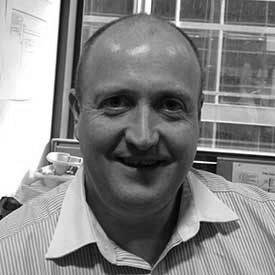 Craig has over 12 years of experience of leading innovation and change within financial services. Prior to joining HSBC Craig was responsible for technology delivery at Citi. Prior to Citi, Craig was part of the Innovation team at Barclay’s where he launched the first integrated contactless credit numerous first-to-market innovations in consumer and merchant payments. Craig attended the University of Hertfordshire where he obtained a Masters Degree in Mechanical Engineering. He is a regular guest lecturer on the topic of Innovation and Change at the London Business School.